Lite-Puter, established in 1978 in Taiwan, is a leading designer and manufacturer of professional lighting control system. Lite-Puter architectural and entertainment lighting control system have occupied a considerable share in the world market. Now Liter-Puter has 35 exclusive agents and 80 distributors spreading over 64 countries. Our customers can get the latest news and fast after-sales service easily from our worldwide network. We constantly launches new products and pioneers in the lighting control market. Lite-Puter also won many prizes, including Rising Star Award, Taiwan Symbol of Excellence, PLASA Award for Product Excellence, Innovation Research Award and Good Design Award. Lite-Puter’s objective is to offer the “total solution” for lighting. In Taiwan, Lite-Puter is the biggest dimmer designer and manufacturer. Almost all international five star hotels in Taiwan adopt Lite-Puter’s products. Take Grand Hyatt Guam for example, its public dining hall, banquet hall, and stage adopt Lite-Puter’s computer-based lighting control system to reduce cost, save energy, economize labor, and satisfy precious lighting requirements. Lite-Puter also has finished a great deal of projects in Asia, including hotels, shopping malls, museums, and national parks. 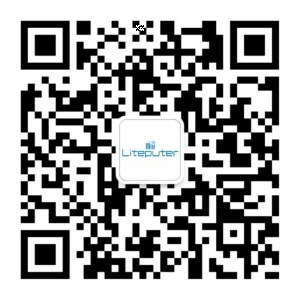 In 2005, Lite-Puter has built a brand new factory site in Shanghai city in China, endeavoring to provide customers the perfect balance between quality and price.